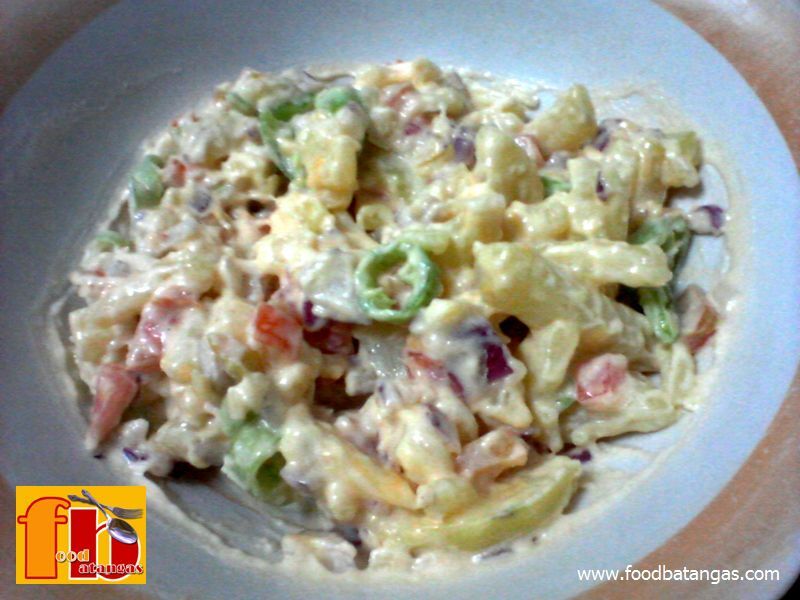 Here is a recipe for a potato salad with a spicy twist. 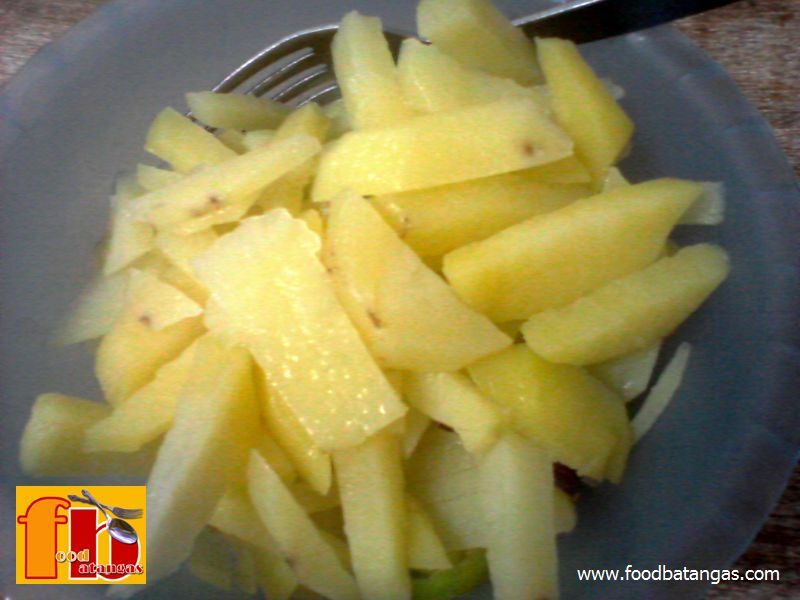 Easy to prepare and inexpensive, this salad may be served as part of a meal or as a complete meal in itself for vegetarians. 1. Boil the potato strips for about 4-5 minutes. Set aside when done. 2. 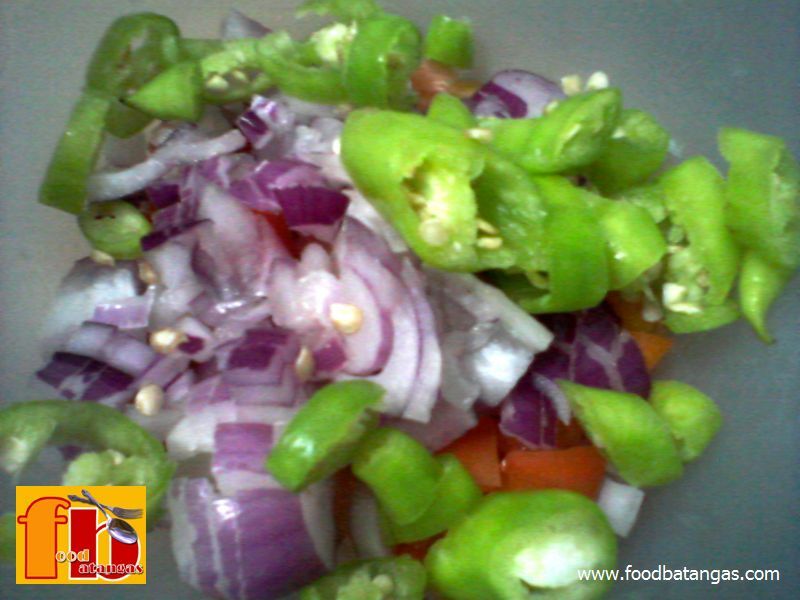 Place the potato strips, onion, tomatoes and green finger pepper in a small bowl. 3. 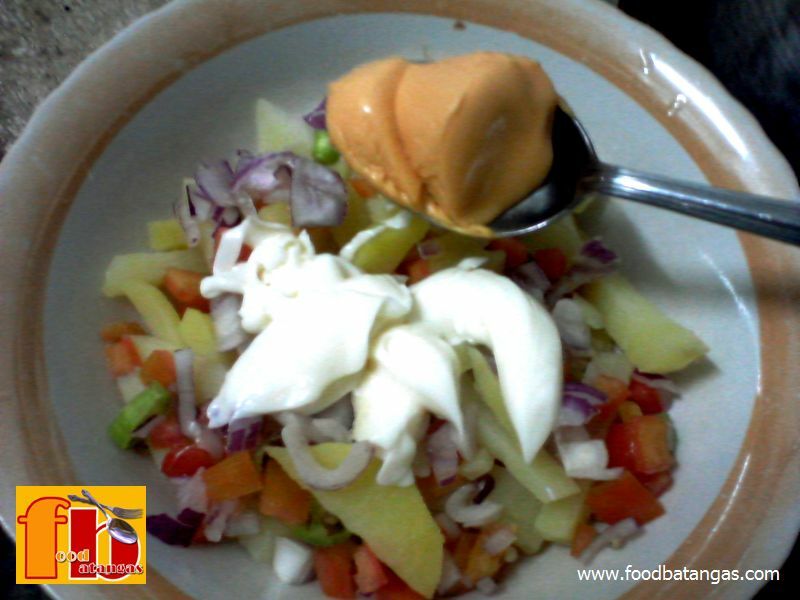 Add the mayonnaise and Cheez Wiz on top. 5. Toss the ingredients until well-mixed. 6. Transfer to a plate for serving.